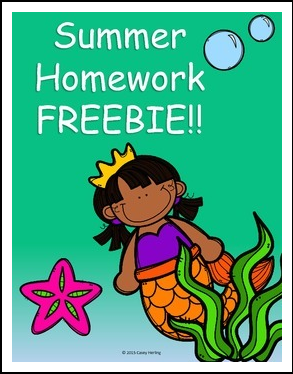 Summer homework FREEBIE!! Two summer-themed homework pages (answer sheets included). We learn to create patterns, and write purposeful marks and letters.